Shama, the mate of a red panda who famously escaped the National Zoo last year, has been euthanized due to severe swelling of the brain, zookeepers announced Monday. She had given birth to three cubs just seven weeks ago. The cubs are now being hand-reared by experienced staff, who have also been hand-rearing a cub born to another female red panda. The zoo said in a release that Shama had been under close observation at the Smithsonian Conservation Biology Institute in Front Royal, Virginia, because it's rare for a red panda to successfully raise three cubs. On Wednesday, keepers noticed that she had developed a neurological disorder that was progressing quickly, the zoo said. Shama, who was 7 years old, was euthanized Saturday. A necropsy performed later that night revealed severe cerebral edema (swelling of the brain), the zoo said in a release. Zoo officials believe the swelling was due to encephalitis associated with a microscopic parasite. As a precaution, Rusty and all three cubs are receiving anti-protozoal treatment. They appear to be doing well, the zoo said. However, one cub is much smaller than its siblings, and has been receiving treatment for pneumonia. 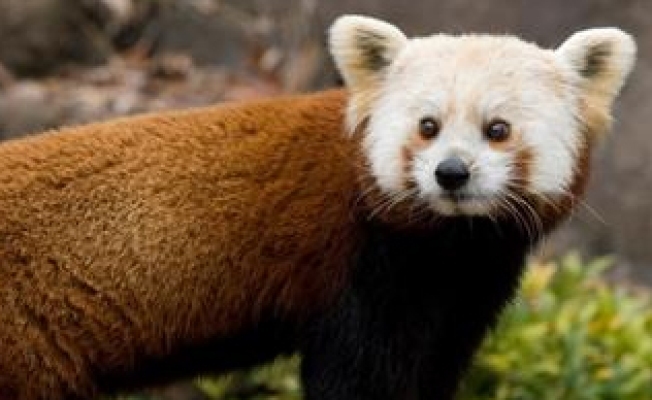 "Shama's death is a big loss for all of us and for those who study and care for red pandas everywhere," said National Zoo Director Dennis Kelly. "I have a lot of confidence in the team caring for the surviving cubs and hope this creates an opportunity for scientists to research infectious diseases that affect red pandas." Rusty and Shama had been moved from the National Zoo to the Smithsonian Conservation Biology Institute in January as zookeepers thought they would need a more quiet environment in which to breed. Last summer, Rusty garnered nationwide attention when he escaped from his enclosure at the National Zoo. He was later found about a mile away and was recaptured.